Classes are held on Sundays during the school year. Classes begin after 2nd Liturgy Holy Communion, with dismissal at 11:40am. Classes are held in the Education Building across from the Cathedral. Become a Sunday School teacher, teacher’s assistance, substitute, or help in the Sunday School office. There is no more important ministry than teaching our children to love God. If you have an interest in volunteering your time to this vital department, please let us know. Parents are encouraged to volunteer and to participate in Sunday School activities. Please see your child’s teacher or the Sunday School directors to find out ways to become involved. The mission of the Holy Trinity Greek Orthodox Cathedral Sunday Church School is to mold the lives of our students in the Orthodox Christian ethos by proclaiming the teachings of Holy Scripture and Holy Tradition and to develop each student spiritually to live a Christ-centered life and to worship and serve the Lord and His Holy Orthodox Church. The Sunday School program serves students from 3 year old preschool through 12th grade. The teachers, directors and committee of the Sunday Church School Program are fellow parishioners who love children and show a desire to serve our Lord through the stewardship of teaching. They stand as role models for our children. The curriculum in use is from the Greek Orthodox Archdiocese Department of Religious Education and is supplemented with other materials and activities obtained from other Orthodox Christian sources. All other outside materials are to be reviewed and approved by Fr. Vasileios and Fr. Theodore. To give students a stronger appreciation for the Divine Liturgy and other Services, the hymns of the Church are taught to students. 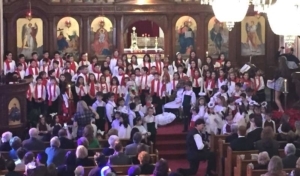 Students in grades sixth through twelfth are invited and encouraged to participate with the choir during their scheduled practices and Divine Liturgy. This is the time when students first begin to read and study the Bible. Each student is presented a lifetime Bible during the Divine Liturgy. The annual Christmas Pageant is another time for students to share in the fellowship of the Christmas season and to enjoy presenting a program for the entire community. A fundraiser luncheon hosted by the Sunday Church School Department will be offered. This year we hope to showcase our students talents through music and crafts. Students are encouraged to attend the Liturgy with their godparents, thus reaffirming the special bond that comes from the Sacrament of Baptism. Realizing that many godparents live in other communities, we encourage students to come with a member of the godparents’ family or simply to come and give special prayers for their godparents.  Throughout the Archdiocese, Orthodox students grades 6th-12th participate in this annual event where they have the opportunity to write and make oral presentations on various religious topics. Winners on the local parish level compete at the district level. The winners from the district level continue the competition at the Metropolitan and Archdiocesan levels. This Festival is an exceptional opportunity for youth to witness their faith. Male students 3rd grade through 12th grade, will have the opportunity to serve in the Altar. Fr. Theodore will conduct an orientation for all interested students, check the Bi-weekly Bulletin for dates. Orientation attendance is required. Female students grades 3rd-5th, will have the opportunity to be Myrrh Bearers on Good Friday. St. Augustine, Florida, is the site where the first Greek Orthodox faithful came and worshipped in America. The St. Photios Shrine is dedicated to these early immigrants. This trip is a privilege, in which students who have attended fifty percent of Sunday Church School prior to the trip can participate. It is truly an exceptional and unforgettable experience for students. For further information, please contact Fr. Theodore. Classes are encouraged to select service projects, which may include visiting a nursing home, sending cards to senior citizens, collecting items for the homeless, collecting items for our servicemen and women, sponsoring coffee hour after Liturgy, etc. We ask students to put their faith into action. Any student who will be three years of age on or before August 31 of the current year will be admitted to the 3-year-old class. 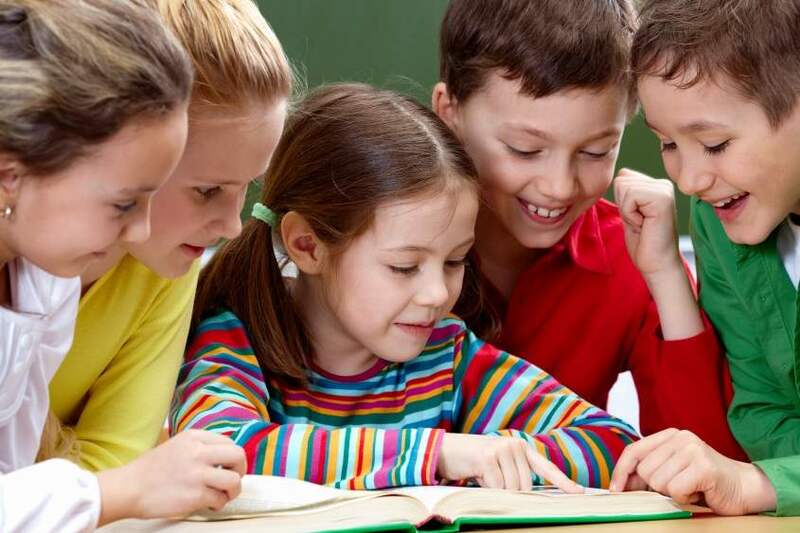 Those enrolling in the 4-year-old class must be four years of age on or before the same date, and those entering the 5-year-old kindergarten must be five years of age on or before the same date. Other students should enroll in grades analogous to their public or private school grades. It is important to note that with the rise in popularity of the “TK” class in the secular classroom, there are most likely children who are a year ahead in the Sunday School class. We strongly recommend that a child be in the same grade in both Sunday School and their secular school so that they can graduate from both schools concurrently. Sunday Church School is a sacred time in a child’s life and should be respected as such. Therefore, misbehavior will not be tolerated. The first offense will be handled by the teachers. Upon the second offense, the child will be referred to a member of the Administrative Committee. For any offenses after that, the child will be referred to the priest and parents. No one is permitted to interrupt classes or pass out flyers or information without the permission of the Administrative Committee. Parents are the best judge of road conditions and personal travel safety. In severe weather conditions or active snow and sleet, classes will be cancelled. In bad weather conditions, as in after a storm when secondary roads are not clear, it will be up to the parents. On these bad weather days, students will not be marked absent from class. Please check TV announcements for closings.